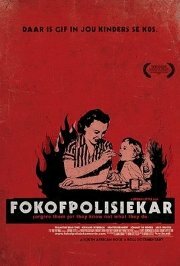 This film follows the story of the first Afrikaans punk bank, Fokofpolisiekar, band over 4 years as they forge a place for themselves and their fans in the new South Africa; in the process challenging the stigmas and expectations placed on them by their Afrikaner heritage, the church and tradition. In English and Afrikaans with subtitles. No persons under 16 (Language, Blasphemy, Drug abuse). Drug abuse Actual abuse of illegal drugs, frequent alcohol and cigarette consumption glamourised, no anti-drug message presented.